One of the key considerations when applying to a university undergraduate programme (or even subsequently, a postgraduate or specialist diploma) anywhere is to ensure it is accredited or recognised in the field you are planning to start a career in. The main difference that separates accredited courses and recognised degrees is the type of profession you are looking to work as in the future. Accredited degrees and courses are recognised by the professional bodies of the respective professions, often required before one can work and practise in the field. A doctor who wishes to practise in Singapore will need to hold an MBBS degree accredited by the Singapore Medical Council. A practising lawyer will have to be accredited by the Singapore Ministry of Law. A person with an engineering degree from an overseas university will need to ensure the qualification is accredited by the Professional Engineers Board before seeking registration as a professional engineer in Singapore. 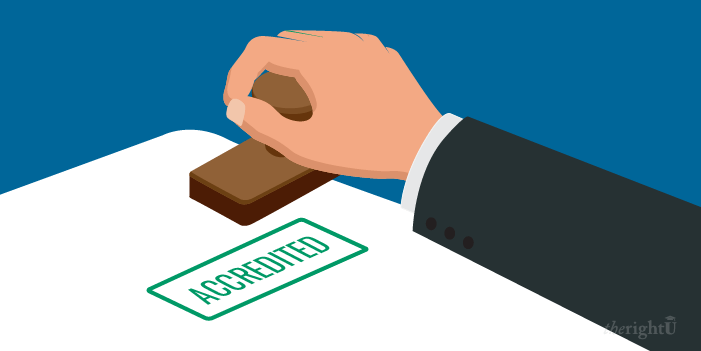 Other areas that require accreditation include: Architecture, Dentistry, Dietetics, Occupational Therapy, Optometry, Pharmacy, Psychology, Physiotherapy, and Speech Therapy. This rule is applicable in other countries, falling under their respective accreditation bodies. See here for full list of accreditating bodies in Singapore. Recognised degrees, on the other hand, are for the vast majority of careers that do not require accreditation. Undergraduates planning to become journalists, full-stack web developers, or enter human resources or sales & marketing do not need an accredited degree to be guaranteed employment. However, gaining a recognised degree from a bonafide educational establishment can potentially increase your chances of employment. Recognition from the Public Service Commission (PSC)? PSC does not maintain a list of recognised universities. The individual organisations that you are seeking to work in will decide the value of your degree. For professional degrees, we will consider whether the qualification from the university is acceptable for registration with the professional bodies in Singapore. So it goes back to whether you are going into a profession that requires accreditation or not. All of the partner universities listed on www.therightu.com are recognised by companies and organisations in Singapore, with many of the courses offered also accredited by professional bodies in Singapore. Still unsure? Chat with your friendly education planner, or email us at hello@therightu.com!